On February 3, 2017, freshman House Representative La Shawn K. Ford introduced Illinois House Bill 2367, designed to allow people to ask for expungement of some convictions for possession of marijuana or related paraphernalia. This Bill provides that “a petitioner may petition a circuit court to expunge records of a conviction or plea of guilty for possession of not more than 10 grams of any substance containing cannabis or possession of drug paraphernalia seized in relation to possession of not more than 10 grams of any substance containing cannabis before July 29, 2016.” Any one who was convicted or pleaded guilty to one of these charges would be allowed to apply for expungement three years after completing their sentence. Convictions would not be automatically expunged, but rather the court would decide in each case whether to allow this request. This bill passed the Illinois House by a vote of 67 to 37, taking it one step closer to becoming law. If approved by the Illinois Senate before the end of 2018, it can then be signed into law by Governor Bruce Rauner. This bill follows the enactment of a July 2016 Act that decriminalized possession of marijuana, instead allowing only a fine of $100-$200 for possession, now considered only a civil violation. Before this, possession of up to 10 grams of marijuana was either a Class B or C Misdemeanor, depending on the amount, and could result in possible jail time, among other things. The bill was introduced to address the fact that while marijuana laws have changed, individuals who were prosecuted before decriminalization may still have criminal records showing convictions for actions that would now only result in a civil violation charge, rather than a criminal charge. Illinois is not the only place looking at expungement of past marijuana-related charges. Colorado, California, and Vermont, among others, have all engaged in similar efforts to remove past marijuana convictions from people’s permanent criminal record. 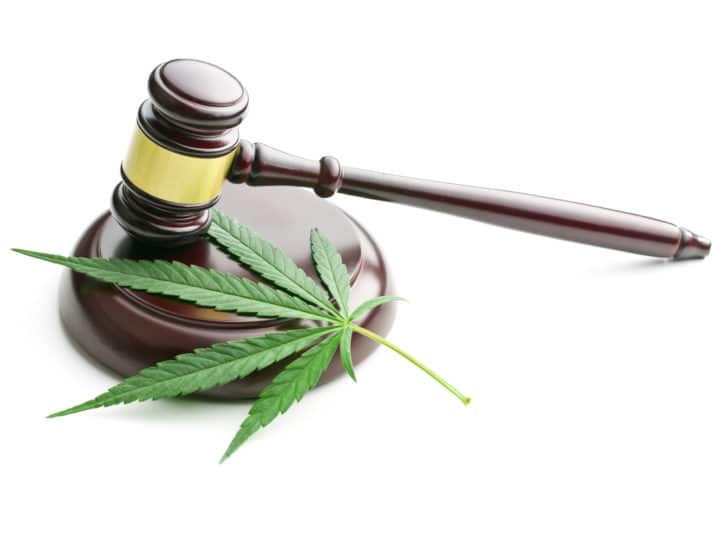 For more information and help regarding the changing landscape of Illinois marijuana laws or other matters, please contact Sherer Law Offices at (618) 692-6656.